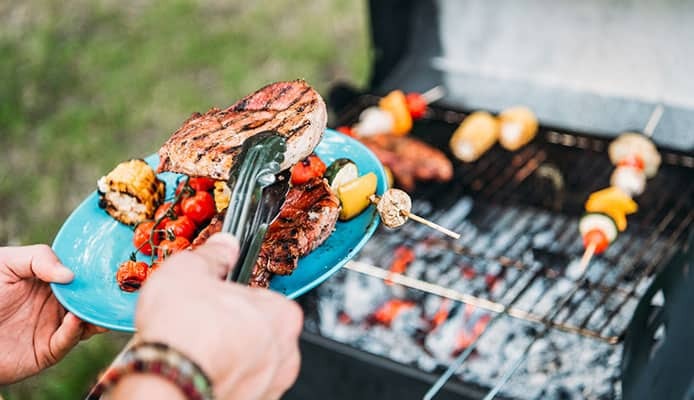 Grilling food outside is one of the most enjoyable experiences that you can have, there is something primal out cooking in the open and you are able to get delicious food in the process. In order to make it as easy as possible, however, you want to make sure that you are using the best grilling tools. Getting the best grill accessories is important due to the conditions that you are going to be cooking in. It can get very hot while you are out there and a lot of mess can be created too. It’s vital to get grilling accessories that are going to be able to cope with that. 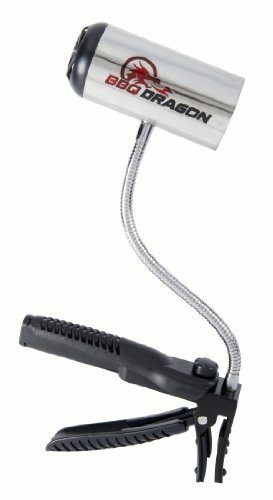 Here we will look at what makes a quality tool or accessory and we have also completed grilling tools reviews on the best products that are out there to buy. Read on to find out what are the best BBQ tools are which are going to make your grilling easier than ever. 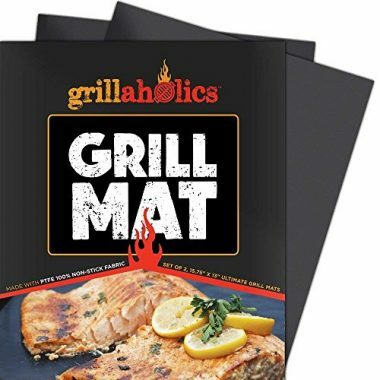 These mats from Grillaholics are one of the top rated grill accessories on the market and are going to be able to help make your cooking a lot easier than ever before. 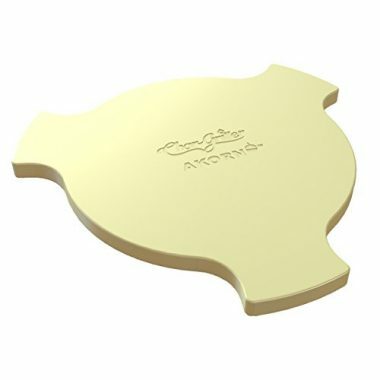 They serve multiple purposes including providing you with a non-stick grilling surface. Not only that but it will also help to protect you from flare-ups and you won’t lose any food between the grill either. It helps to provide you with an even cooking surface and once you are finished with it you can simply place it in a dishwasher and it can be easily cleaned. When it comes to grilling you simply have to have the best barbeque accessories and tools which are going to be able to give you everything that you need when you are stood there by the fire. This set contains all the pieces that you need for great grilling. It comes with a knife, spatula, tongues, basting brush, cleaning brush, corn holders and skewers. All of that comes in a handy aluminum case which will be able to help you easily and store and carry your essential tool set. 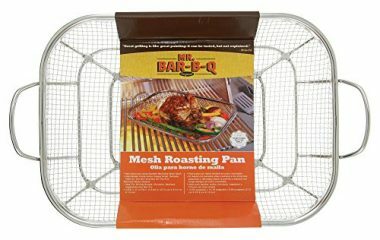 Roasting can be difficult when you are out there on a grill but this accessory is going to make it easier than ever to ensure that you can have a delicious meal with a minimum of mess. It’s made of stainless steel which will make it very durable and able to cope with heavy use. It is particularly good for vegetables as you are able to cut them to any size that you want as well as being perfect for large pieces of meat. It will be able to give you a nice crisp finish on your food and it has convenient handles for ease of use. 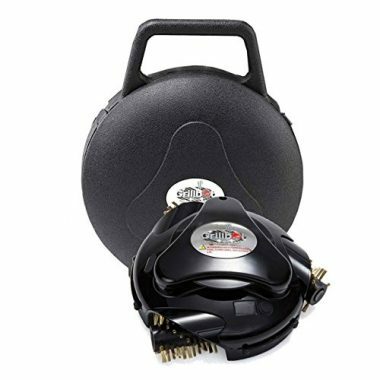 Starting a charcoal fire can sometimes be laborious but this fan from BBQ dragon is going to be able to speed up the process by getting more oxygen to your fire and helping to get that charcoal ignited more quickly than you would usually. It has a variable speed motor for more control and is battery powered, and will be able to provide plenty of use per charge. It has a long adjustable neck in order for you to be able to position it perfectly and is made out of durable stainless steel. Grilling can sometimes be difficult, especially for those who haven’t done it too many times. There are also those who are naturally it bit clumsier too and for those situations, these heat resistant gloves are going to be the perfect item to keep your hands protected. 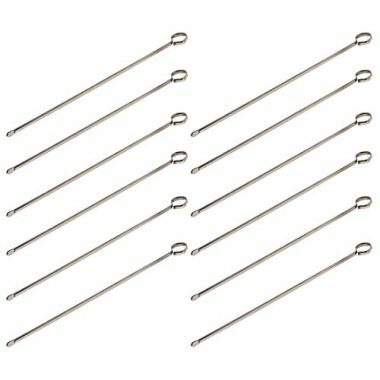 They are able to withstand a heat of up to 932F but still allow your fingers more than enough movement to be able to easily control your grill. They come in a great variety of sizes and are a highly reviewed product which you can trust. If you were to ask most people what the worst part of grilling was, most of them would likely point out to the fact that they can be very difficult to clean. This is a device that aims to help with that by automatically cleaning the grill for you. It is able to work on either a hot or cold grill and contains a rechargeable battery. The brushes on the device are removable and dishwasher safe. It is highly durable too and is going to be able to take the worst part of grilling away as you automatically set it to work. I’m sure many people have been out there when they have been thinking that doing something like roasting marshmallows would be a good idea, and having to improvise to come up with a solution. This set will make it as easy as possible and help to make a memorable grilling experience. They come in a pack of eight with colorful retro handles which are made of wood and are very easy to hold. 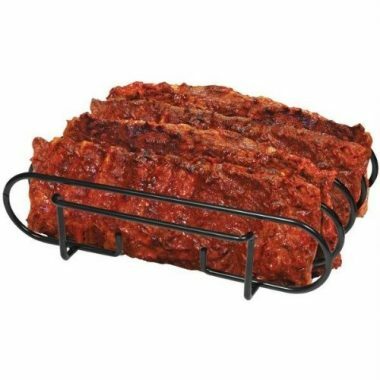 They are 22 inches long which is going to be able to give you a safe distance without being too long and these are perfect for your grill or on an open fire. 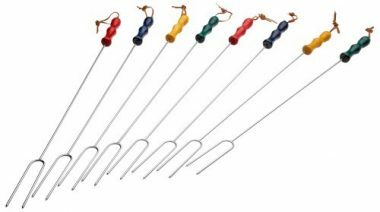 Skewers can be a great way to cook and enjoy food and this product will help you to do just that with its durable stainless steel which is commercial grade and will ensure that they never get broken. They are great for the grill or barbeque to give you that unique experience. They have a ring tip handle which is going to make it very easy to hold them and the end of the skewer is precisely pointed for easy skewering but not too sharp that it will be dangerous. There are 12 in a pack and they are also 12 inches long. Ribs are a notoriously messy food to eat and once they have been cooked it can be hard to know exactly where to place them. This rack is going to be able to give you a perfect place in order to put down those ribs and allow them to be enjoyed without creating too much mess. The rack is non-stick and therefore it’s going to be very easy to clean once you are finished with your food. This is a very highly rated product and you can be confident that it is going to work exactly how you want it too. This is one of the best smoker accessories on the market as it is going to help transform your outdoor grill into an outdoor convection oven and can withstand temperatures of up to 1,200 degrees. It will be able to divert the heat out to the perimeter of the grill. Due to its size, it’s only going to be able to work with specific models and you want to make sure that you are checking that before you buy. This is a device which is going to be perfect for low and slow smoking in order to keep your meat moist and tender. Before buying any type of grilling accessory you need to make sure that you know exactly what type of grill that you have an how it is going to be compatible with what you are going. When it comes to outdoor grills there are generally two types as they will either be charcoal or propane. Charcoal grills are generally messier, harder to control and take longer to start up. Many people love them due to the taste that they give but they generally lend themselves more to accessories than propane grills due to the added difficulties involved. Getting the charcoal started more quickly and protecting yourself against flare-ups is always going to be a convenient thing to do and a lot of these products will help you a lot while you are cooking on a charcoal grill. Gloves, for example, are a lot more useful on a charcoal grill due to the more unpredictable flames and hotter temperatures. The need for additional accessories on a gas grill is less but some of them are still great additions though. The grilling mat, for example, won’t need to protect you from flare-ups on a propane grill but it will help to give you that non-slip and stain free cooking surface. It’s important to simply analyze your own situation and see which accessories are going to be useful and which are going to be wasted on your type of grill as you wouldn’t want to be getting an item such as the fan for a propane grill as that would be useless. While considering what type of grill that you are going to use, a lot of these products will only really be worth it if you grill a lot. Some are a bit of a luxury product which can be great for if you are cooking outdoors every weekend but might be too much if you are only doing it a few times a year. Using the fan as an example, if you are grilling often then this would be very useful as it would be able to get your charcoal burning at the right temperature a lot more quickly. If you don’t use your grill often though, then you probably wouldn’t mind spending that extra bit of time firing up your charcoal because of how often you do it. 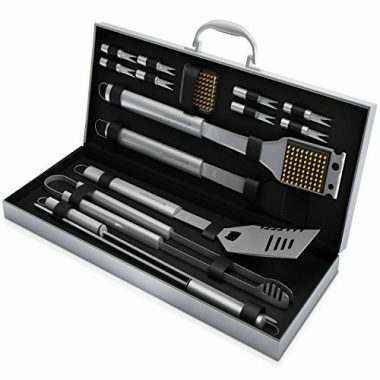 With products such as the tool kit though, it doesn’t really matter how many time you are grilling as you will always want to use top quality utensils wherever you are. This will help make it easier to cook but also leave you with a very durable product which is going to be able to protect your hands. A lot of this, of course, is down to personal preference. Getting the automatic grilling machine might seem like a bit of a luxury if you don’t grill that often but it could simply just be a case that you simply hate cleaning that much and want all the help possible. Before you even think about grilling in the first place, you need to know where you are going to be doing it, what you have to carry and for how long. 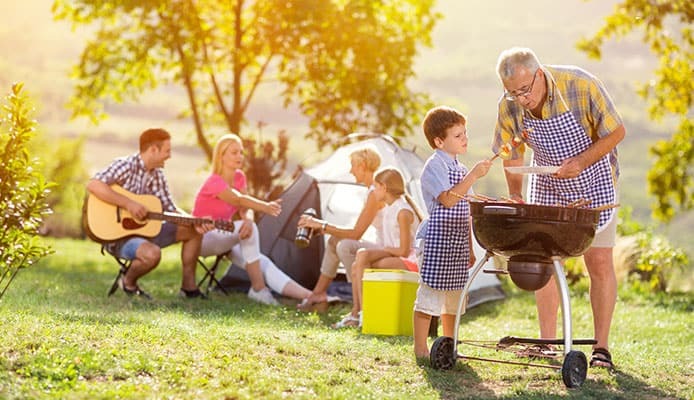 If you are only ever grilling in your back garden then this is obviously not going to be a concern but if you are camping then it becomes very important and it all starts with getting the best portable grill. You not only have to worry about having to carry these items in your camp but also how they are stored and transported. If you are going to be camping light and don’t have a lot of space then having a fan for your grill is most likely not going to be a great idea. If you are car camping though, or camping close to a vehicle then you will be able to carry a lot more gear and be able to carry all the tools and accessories that you want, including having a full-sized camping grill. Before heading out you need to plan ahead and make sure that take into account how much something weighs and how easy it is going to be to transport. The quality of any product is important but when you are dealing with fire, which importance increases even further. The manufacturers need to make sure that the product is going to be able to withstand the large amount of punishment that it is going to take. It’s not just fire that these products have to deal with though, as being outdoor they will also be subjected to the elements are and much more liable to rust than other types of product. It’s important to make sure your tools and accessories are going to be able to cope with the demands. If you are out camping then your products and devices not only need to work as they should but also be highly durable too. If you are far out and something breaks, then it might mean that you are not able to grill at all. It’s always a good idea to check reviews and make sure that you are buying from a reputable source. The design is always going to be a critical element and you want a product to be able to deliver exactly what you want it to. In order to do that it needs to be well-designed and that is what we see here with the products that we have looked at here. Again, this is especially important for products for a grill and the consequences of having a badly designed product can not only affect the way that you are able to cook the food but it can also be quite dangerous if something were to go wrong. The gloves are a perfect example as you would get badly burnt if they went wrong and the same can be said for other products. It’s always useful to see what other users have been saying and check that they have had no problems with the way that it is designed. Q: Can I Use My Regular Kitchen Utensils For Grilling? A: This all depends on the design of the products, their materials and how they have been made. It’s likely that they are not going to be able to deal with the high levels of heat which come off a grill or a camping stove and there are aspects of grilling tools which lend them to the specific task. Tongues for example might not be found in a lot of kitchens but are a vital part of your grilling set. While you will be able to make a judgment about how suitable your own utensils are for the grill, it’s always the best idea to not take any chances and get yourself a great grilling utensil set. Q: What Are The Benefits Of Grill Tools? A: Outdoor grilling should be a fun experience where you are out there with your friends or family and enjoying the time away. It could be that you want a few beers, have a friendly chat and enjoy yourself while you are cooking. Anything which makes that experience easier is going to be a huge plus and there are plenty of products here which are going to be able to make it easier than it ever has been. It’s not just about making it easier either, as a lot of these products are designed with safety in mind and will help to prevent you from hurting yourself. A lot of people love grilling outdoors for the experience of it. With that, it’s always a great idea to get the best grill tools and accessories that you can in order to make the experience even more enjoyable, as you will be able to do it easier than ever. In order to pick the best tools and accessories it’s important to know exactly what type of grill you will be using as charcoal grills require more control and maintenance. Having a product such as the heat resistant gloves would be able to make charcoal grilling a much safer experience. While charcoal grills to require more care and attention, both types are still able to benefit from a lot of these accessories. The grilling mat, for example, will work perfectly on both types of grill and help to keep it clean and working as it should. 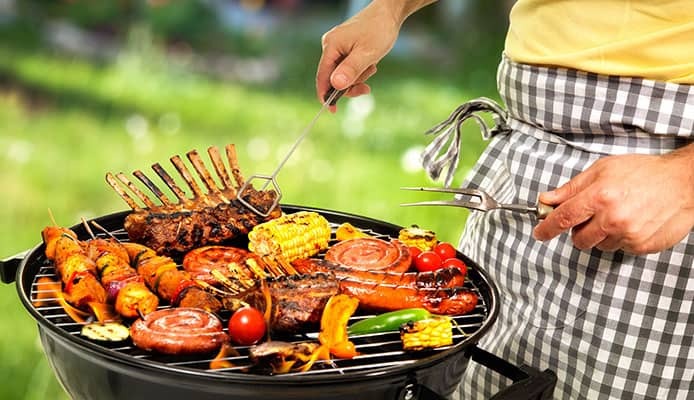 There are plenty of other products too which are going to be ideal for both types of grilling and you want to make sure that you are getting a quality and well-designed product which is going to be able to cope with the harsh conditions that it is placed in. With these products, you need to take a sensible approach and make sure that you are getting what you need as each grill is going to be different. You also need to assess your situation and how portable you need your items to be. Once you have done that then you will be able to buy it and enjoy the benefits of your new tool or accessory. Hopefully this guide has given you a few great ideas on how to make your time grilling a lot easier but also a lot safer too.